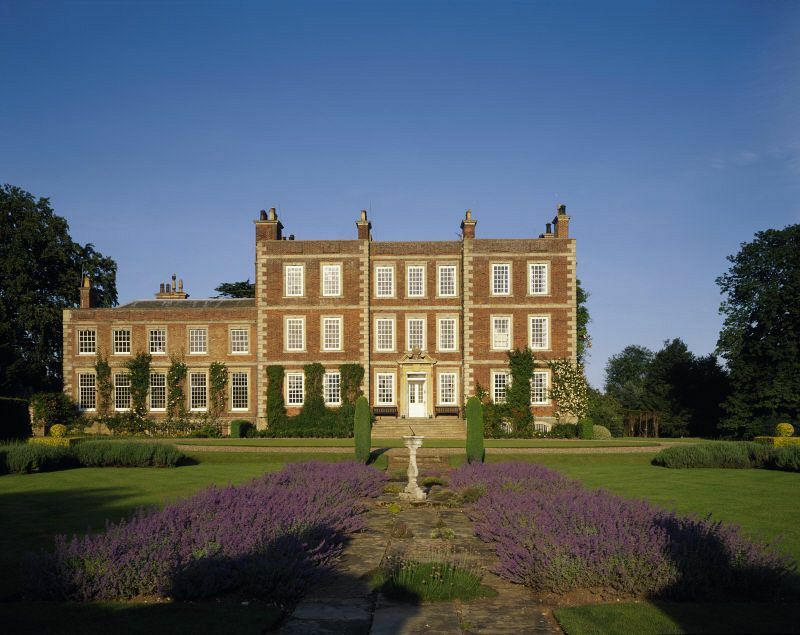 Described by Tennyson as a haunt of ancient peace, Gunby Hall is in one of the most remote corners of England, at the tip of the Lincolnshire Wolds. The surrounding area is given over to agriculture, criss-crossed by drainage dykes in this flat fenland. The grand Gunby Hall seems quite out of place amidst local hamlets with its rose-red brick and limestone dressings making it appear to be a grand townhouse rather than a typical country manor. Gunby Hall was built in 1700 for Sir William Massingberd whose family were elevated from medieval yeoman to gentry through judicious marriages. The baronetcy died out in 1720 and the property was passed through the female line of inheritance. 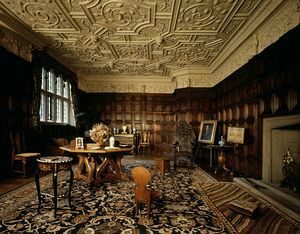 this lovely hall will reveal wonderful paintings and the accumulated treasures of the Massingberd family who used Gunby Hall as their family seat. The panelled rooms are filled with china, furniture and artworks. Most famous of all is the portrait of Bennet Langton by Sir Joshua Reynolds. Bennet's son, Peregrine, married into the family in 1784 and Reynolds was known to be a friend of the family. 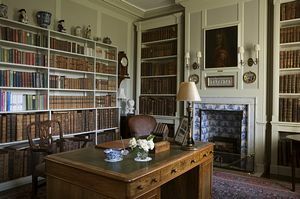 The family connections also brought to Gunby Hall a rare autographed copy of the first edition of Boswell's biography "Life of Johnson" as Dr Johnson was a regular visitor. Tennyson was also a guest of the house, hence his hand-written verse which hangs in the entrance hall of the house, signed and dated 1849. 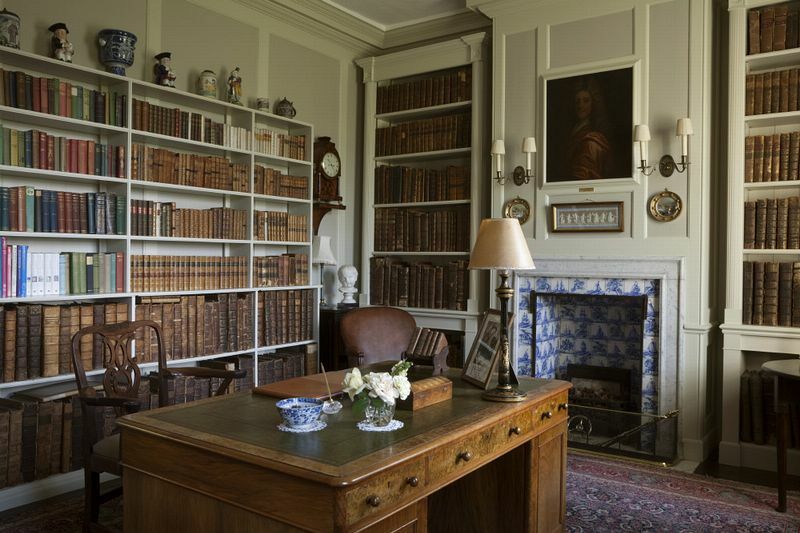 A highlight of a tour of the house is the library, now recreated and filled with donated books from James Lees-Milne. 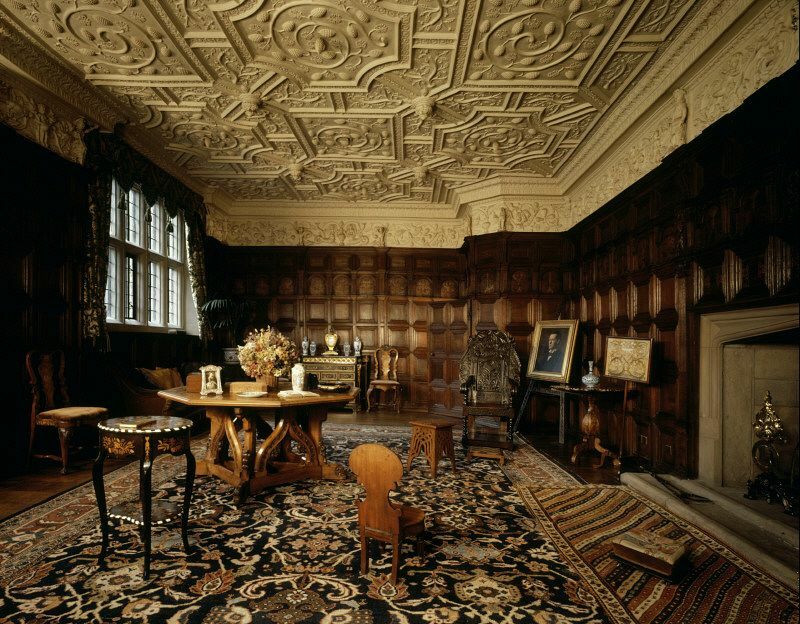 The splendid oak staircase is also worth admiring for its elaborate carved detail. Gunby Hall also has an exhibition of memorabilia from Field Marshall Montgomery-Massingberd. fruit, flowers and vegetables for the restaurant and estate. The square brick dovecot is topped by an old weather-vane and is actually even older than the present hall. In summer the rose-covered pergola is a beautiful centrepiece. Walks around the estate along the network of footpaths will introduce visitors to some of the 15 farms and the stretch of disused railway which lie within the estate. The tall cedars of Lebanon and the wild flower walk all add to the pleasures of a visit at any time of year. Like most old houses, tales of a ghost abound. Sir William Massingberd's daughter planned to elope with her lover, a postilion rider. Unfortunately her father discovered the plan, shot the man and dumped his body in the pond. It is said that the ghost of the man has been seen walking with the daughter along the path which is now known as "Ghost Walk". Monksthorpe Chapel is also well worth visiting on the property. Once a barn, it was used for decades by local Baptists for private worship during the the late 17th century when dissenters were persecuted. It still has the original baptismal pool beneath the altar. 2½ miles north west of Burgh le Marsh, 7 miles west of Skegness on south side of A158 (access off roundabout).